After 100 years of service, WSSC is getting a refresh. We're improving so we can continue to deliver safe, seamless and satisfying water services...all day, every day. 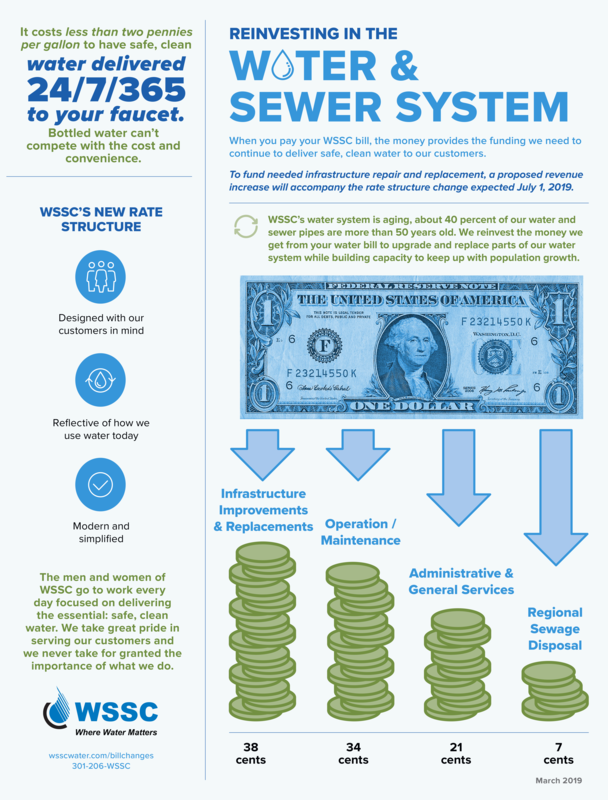 A rate structure is how you are charged for water/sewer services. A rate is the amount charged. Expected July 1, 2019, we are implementing a new, modern and simplified rate structure that more closely aligns customer rates with the cost of providing service. 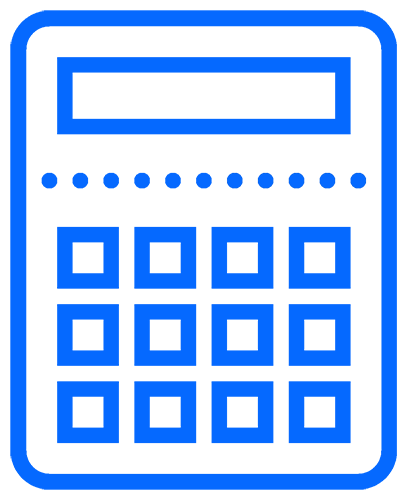 The first tier captures what a family of three uses for basic sanitary household needs. The second tier captures what a family of three uses for an average of 55 gallons per person/day consumption, enough for basic sanitary household needs and outdoor water use (or 165 gallons/day for the household). The third tier supplies enough water for a 5-person household. 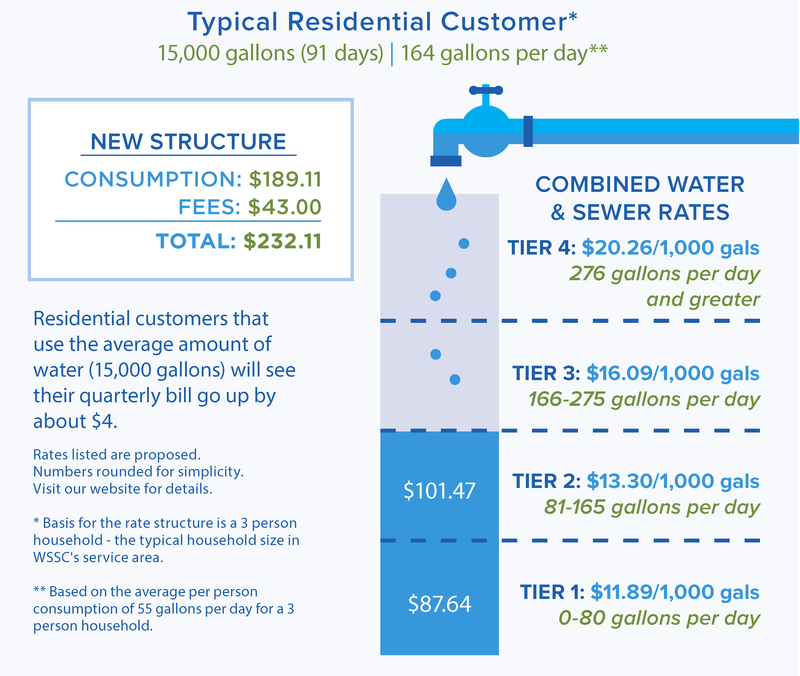 Our efforts to change our rate structure began in 2012 with a rate study and several changes, but in 2017 the Maryland Public Service Commission determined that the old rate structure was unfair to customers who use greater than average amounts of water. 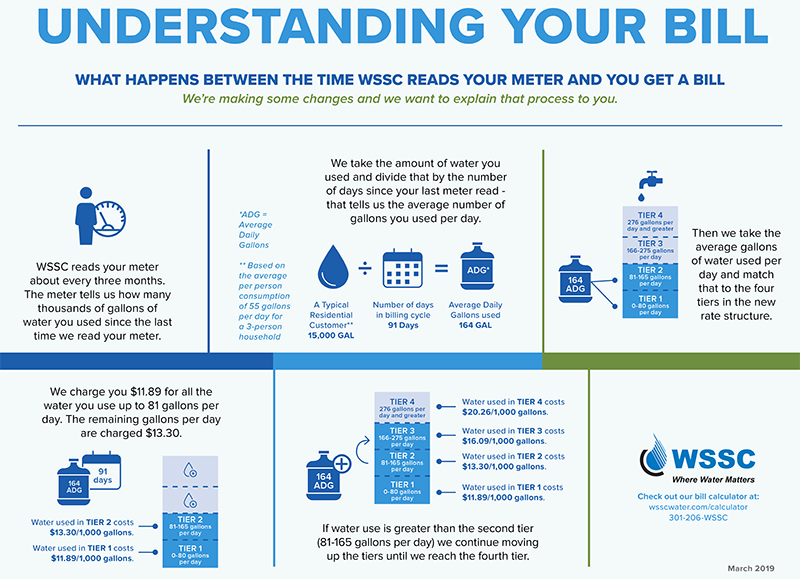 Our new rate structure ensures rates are fair and equitable for all WSSC customers and aligns more closely with the cost of providing service. On a per person basis, WSSC customers have reduced the amount of water they use over the past 25 years, and we expect to see per capita water use continue to decline in the future. The new rate structure was developed to accommodate changing customer demand while also helping customers save money by encouraging wise water use. The new tiered rate structure is commonly used by water utilities across the country to encourage conservation because the more water customers use the more they pay. The Maryland Department of the Environment specifically encourages an increasing block rate structure for water conservation.